Gourmant91 hat am Jän. 2019 eine Bewertung geschrieben. Trail567908 hat am Okt. 2018 eine Bewertung geschrieben. Dear Trail567908, Thank you for your positive comments. We are so glad to hear that you enjoyed your stay with us! We hope your next stay is just around the corner. Sincerely, Sensatori team. Manuela P hat am Aug. 2018 eine Bewertung geschrieben. Dear Manuela P, Thank you for your kind comments. I will be sure to let our staff know how much of an impact they made on your experience. We are always pleased to be your second home when you're at the area. Sincerely, Sensatori team. Harald E hat am Mai 2018 eine Bewertung geschrieben. Bin wirklich begeistert von diesem Hotel. Der Service ist überragend vor allem am Hauptpool mit Franky und yessenia. Die besten Cocktails und immer volle Gläser! Das Zimmer ist sehr sauber und das ganze Personal ist freundlich und hilfsbereit. Da kommt man doch gerne wieder. Dear Harald E, Thank you so much for this 5 stars review! It means the world to us to know about our guests holiday experiences!! We hope to have you many more times visiting us! Sincerely yours, Sensatori Resort Punta Cana´s team. Ervin G hat am Apr. 2018 eine Bewertung geschrieben. Franky ist ein super lustiger typ der uns immer mit den besten durstlöschern von Sensatori beglückt. Immer wenn er mit einem lachen im Gesicht vorbeikommt ist es für uns immer Lustig. Er ist ist ein toller Sänger. Hi, Ervin G! Thank you very much for taking the time to provide us with your honest feedback concerning your most recent stay with us. It is always great to know regarding the good time our so valued guests are having while with us. 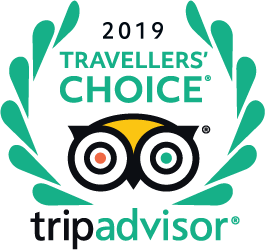 It is very great for our team to learn, how fantastic your holidays were, since this really encourage us to keep doing and providing a great service for our guests. We are already prepared to welcome you back to our beautiful resort!! Sincerely yours, Sensatori Resort Punta Cana´s team. atdimi hat am 5. Apr. ein Foto veröffentlicht. Jan P hat am Sep. 2018 eine Frage gestellt. Kann man als Hotelgast von Sensatori auch alles vom Nickelodeon Hotel mit nutzen? willi h hat am Okt. 2016 eine Frage gestellt. wir haben für ankunft 29.10 für 2 wochen die suite mit seperatem schlafzimmer bebucht. geht diese buchung so in ordnung ? wie lange vorher muss man die spezialitätenrestaurants reservieren. Compass401534 hat am Gestern eine Frage gestellt. Gavin B hat am 20. Apr. eine Frage gestellt. In 2 weeks I am due to arrive at this resort, I’m a little worried as it does seem to have mixed reviews online. Nevertheless, the purpose of my trip is to witness my best mate marry his girl. As his best man I’m in charge of the stag do, my preference is to head to the hard rock, however due to potential cost implications some of the other guests might prefer a night in. Does the resort have enough entertainment on the evening that could both support the intent of a stag do and also keep the party far enough from the female counterparts? I am not too sure what you are expecting! The resort is a secure closed resort and a bus ride away from civilisation. Having said that it is clean, modern and has everything you can expect from a family resort and the staff are fantastic and friendly. My son got married there recently and we all throughly enjoyed it. The main reception is a fantastic meeting place and the free bar is a wonderful place to relax but not to be rowdy. A 100 meters or so away is the main centre of attraction where there is an eclectic choice of eating places ranging from the American themed burger bar through to gourmet eating establishment with all things in between - something to please everyone. Within the location there is live entertainment every night and the free beer and spirits flow as if there is no end. Near by is a live theatre and a late night music / disco bar both with free drinks. Throughout the site there are swimming pools with swim up bars and on an evening there is usually live entertainment The beach is fantastic complete with bars, barbecues and life guards. It is on the beach where the wedding takes place. If you do not wish to eat in the main square there are two fantastic restaurants looking out over the see. You may find that the downside to this fantastic venue is that it is a family resort and loud drunken behaviour by a minority will ruin it for the majority. It Is not an 18/20’s holiday nor is it Blackpool, it is a family resort we’re everyone can experience a lovely holiday so think of others whilst you are enjoying yourselves!!!!! Etravel70 hat am 17. Apr. eine Frage gestellt. Hi, anyone who is currently at the resort (or has been within the past 3 weeks) please could you let me know what the situation is regarding sickness etc. I've read a lot of reviews regarding illness and I'm really starting to worry now. We're due to holiday here end of June and I'm hoping everything has been sorted by then, but the amount of people who have fallen ill is an increasing cause for concern. Any info would be very much appreciated - Thanks in advance. We were there mid-March and 2 of 4 of us got sick (lasted for about a week after getting back to Canada) despite being vigilant about drinking bottled water, brand our own plastic cups, etc. Marc G hat am Feb. 2018 einen Tipp verfasst. "Standard rooms sind m.E. besser als Swimup room. Die bieten null Privatssphäre wenn man auf der Terrasse sitzt." RogerSchmied hat am Apr. 2017 einen Tipp verfasst. "Egal - Alle sind ok"
CCRfun hat am März 2017 einen Tipp verfasst. "Swimup Zimmer sind sehr zu empfehlen"
Frank_Spandau hat am Feb. 2017 einen Tipp verfasst. "Lesen Sie bitte meine Bewertung"
Barbara L hat am Feb. 2017 einen Tipp verfasst. "Zimmer mit Poolzugang zahlen sich auf alle Fälle aus"